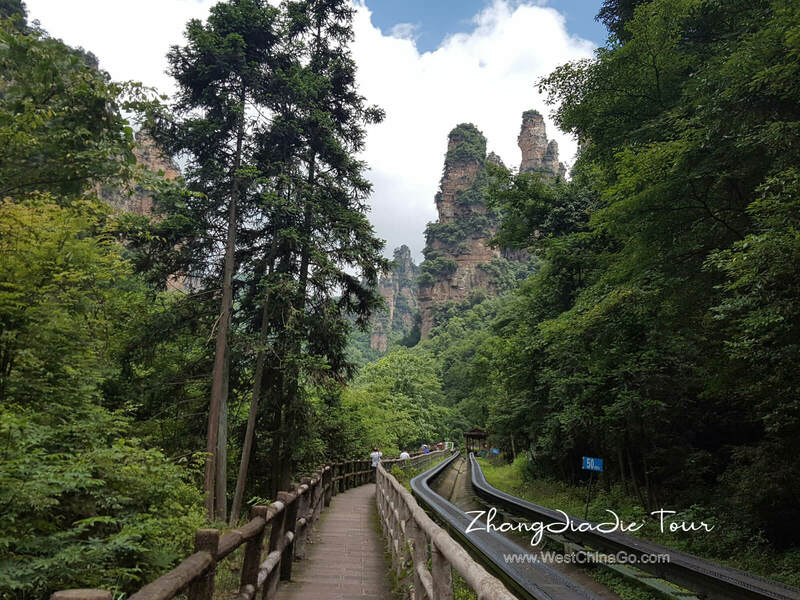 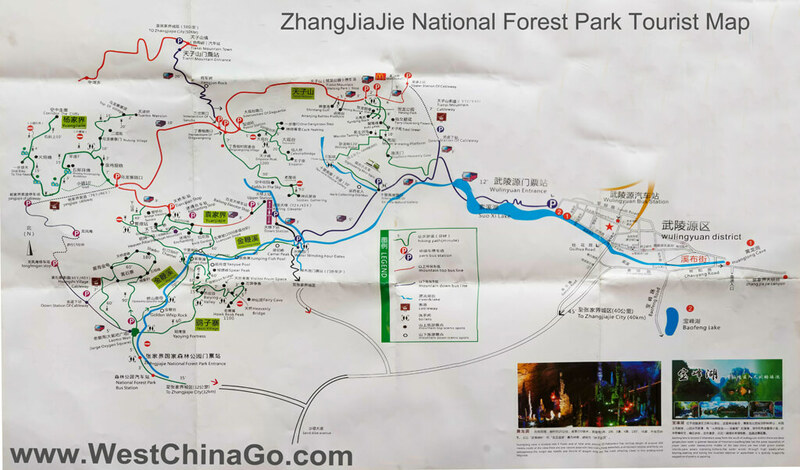 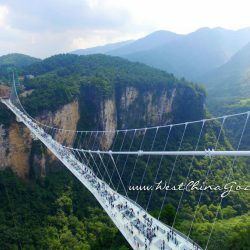 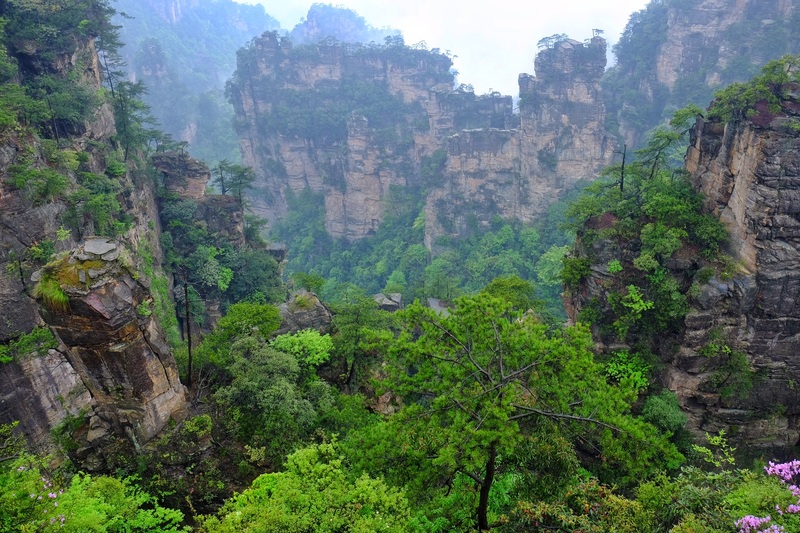 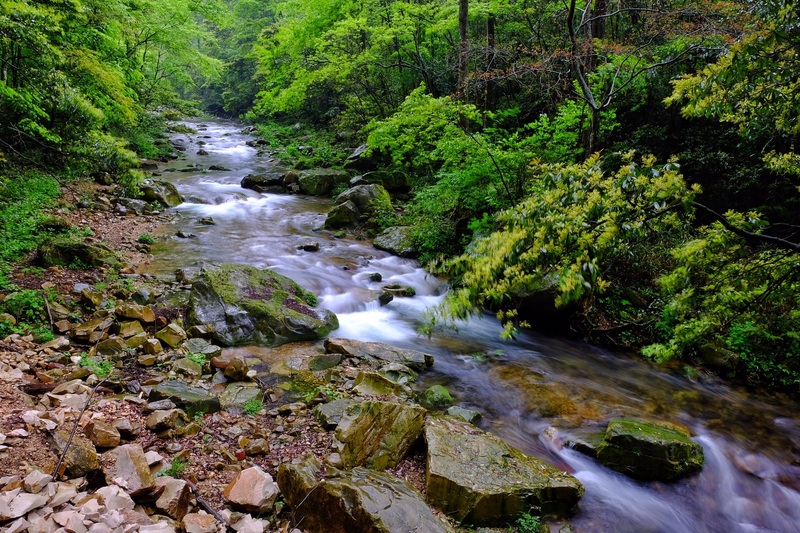 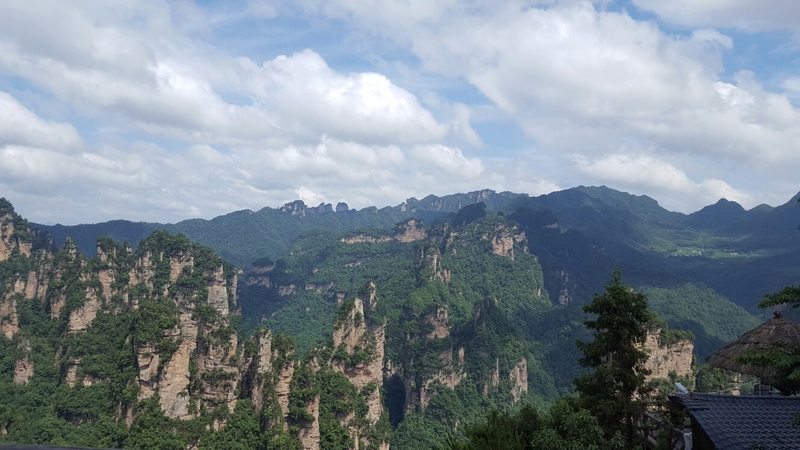 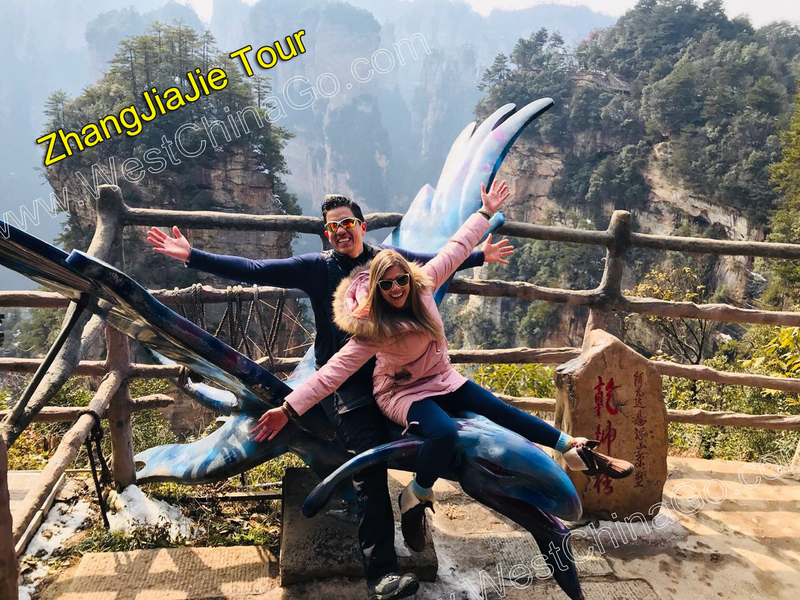 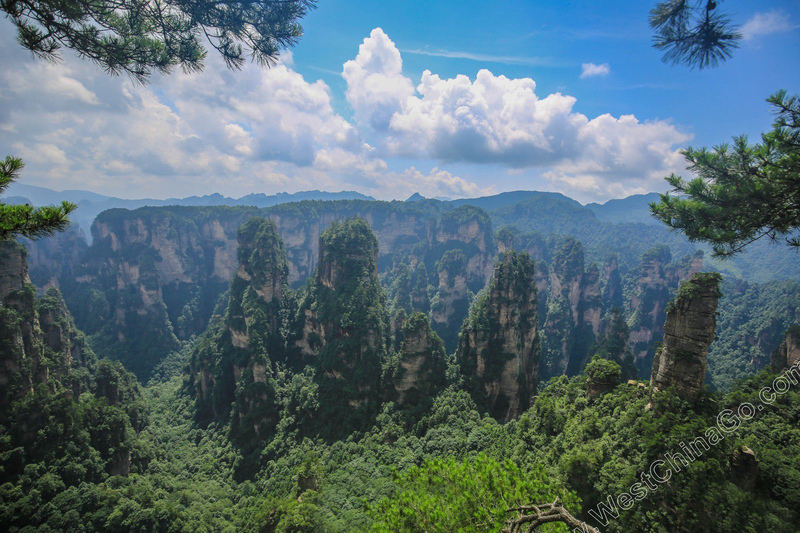 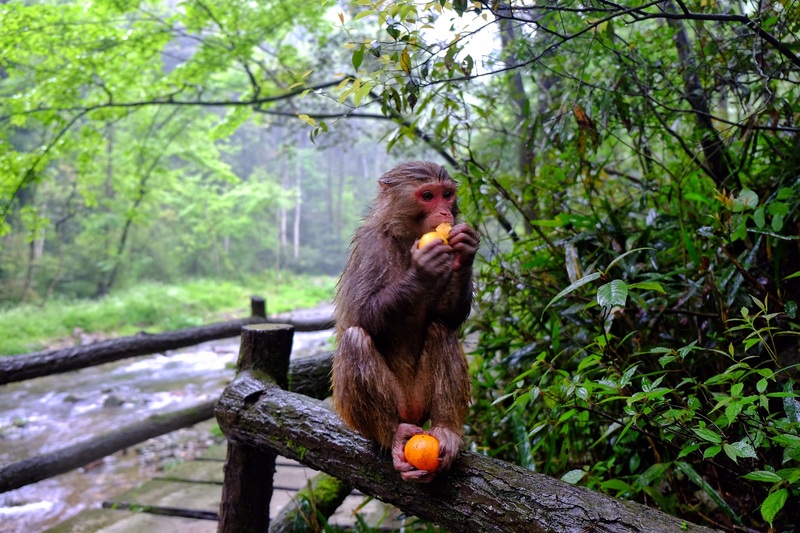 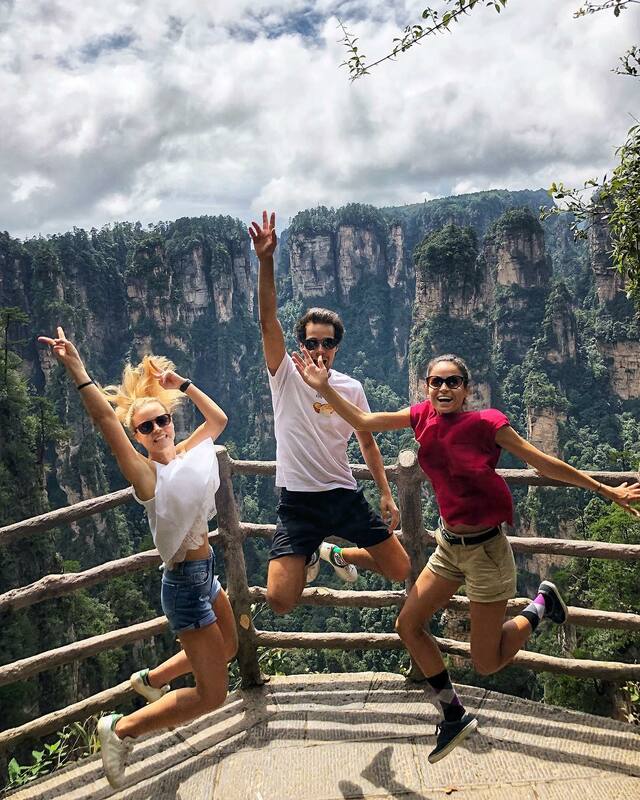 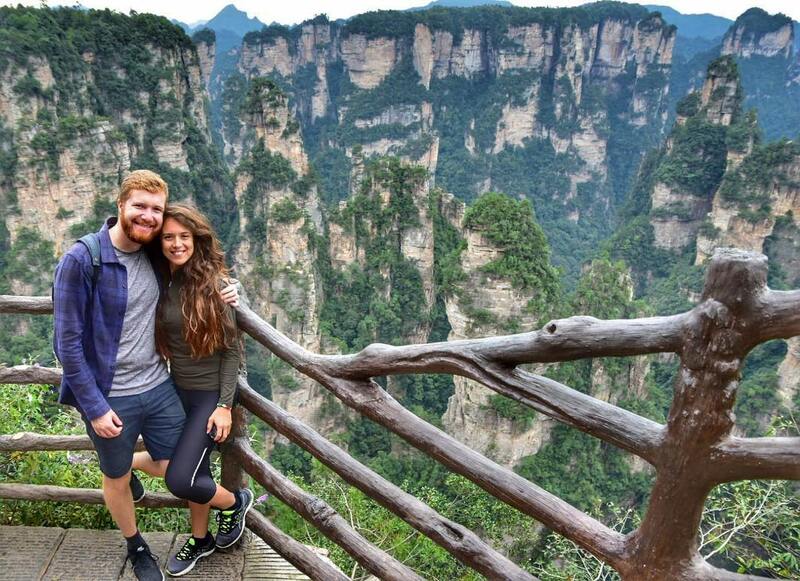 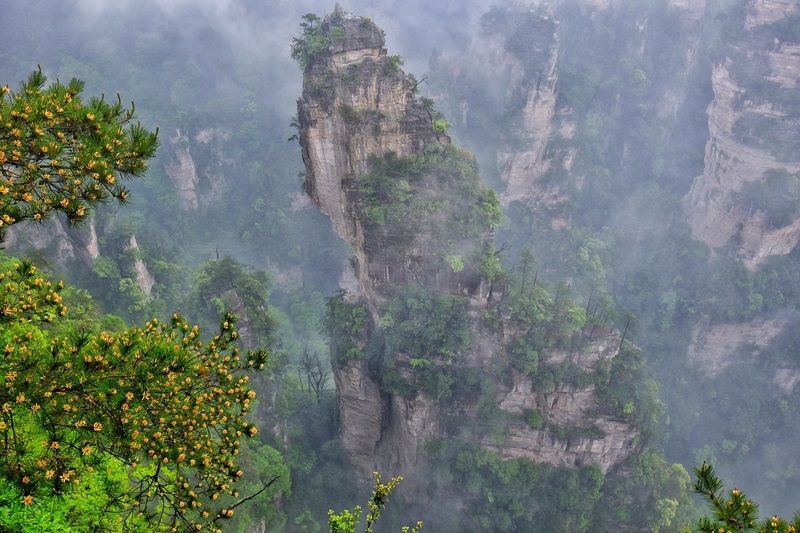 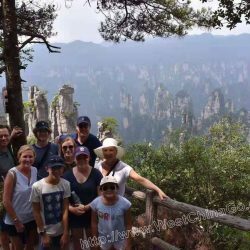 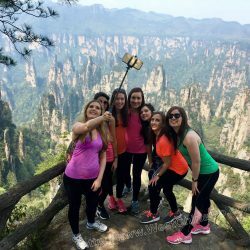 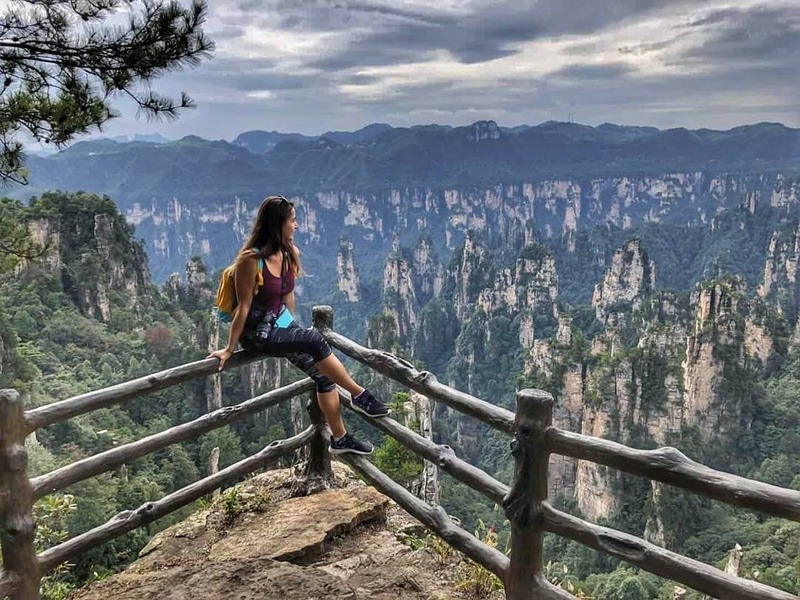 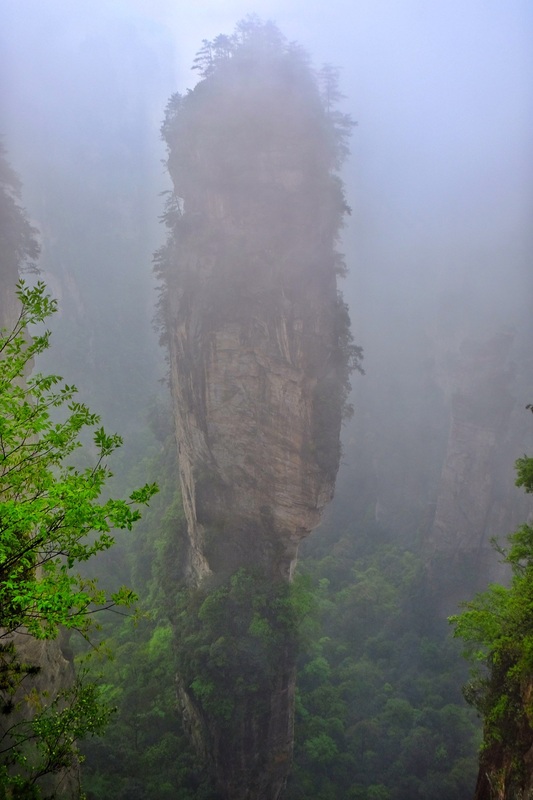 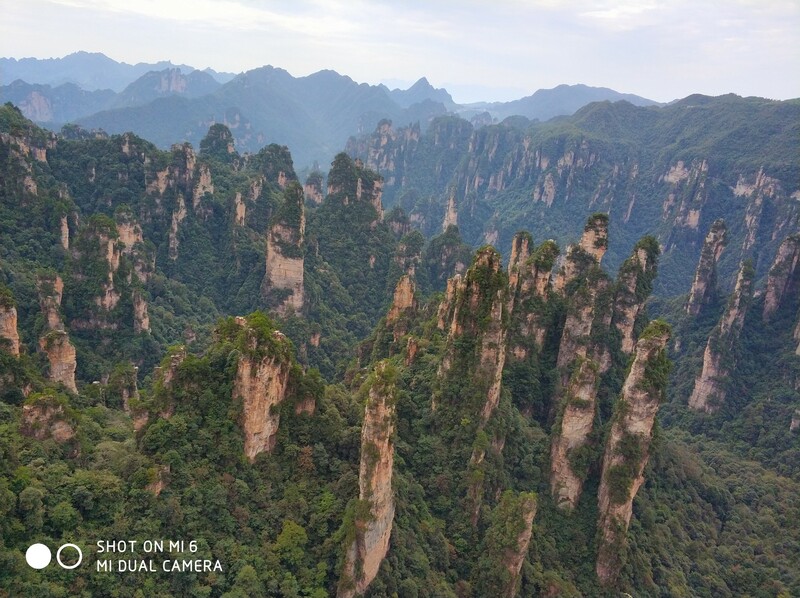 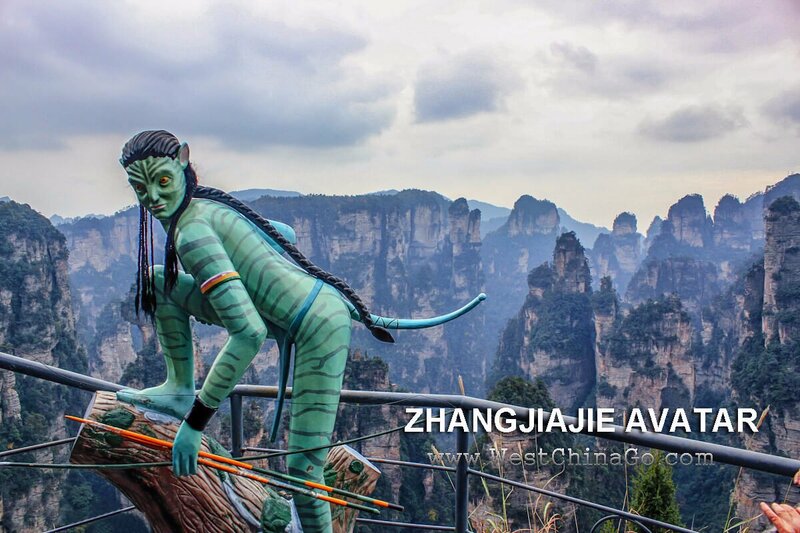 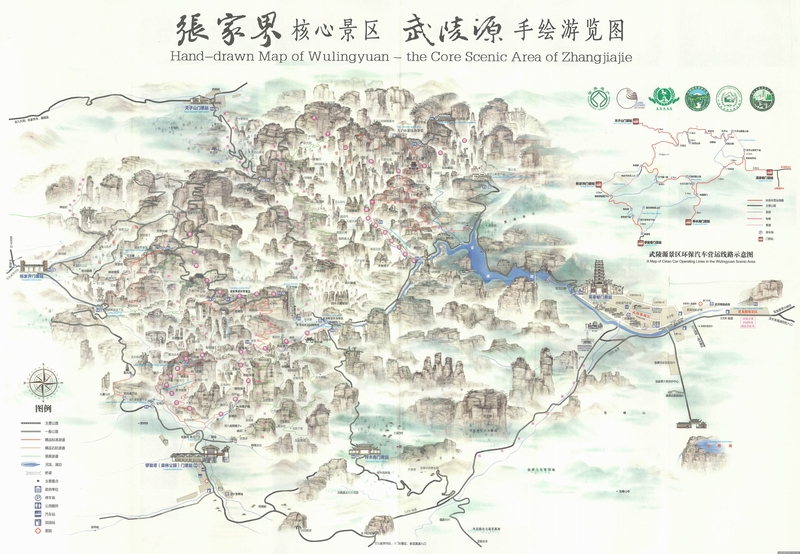 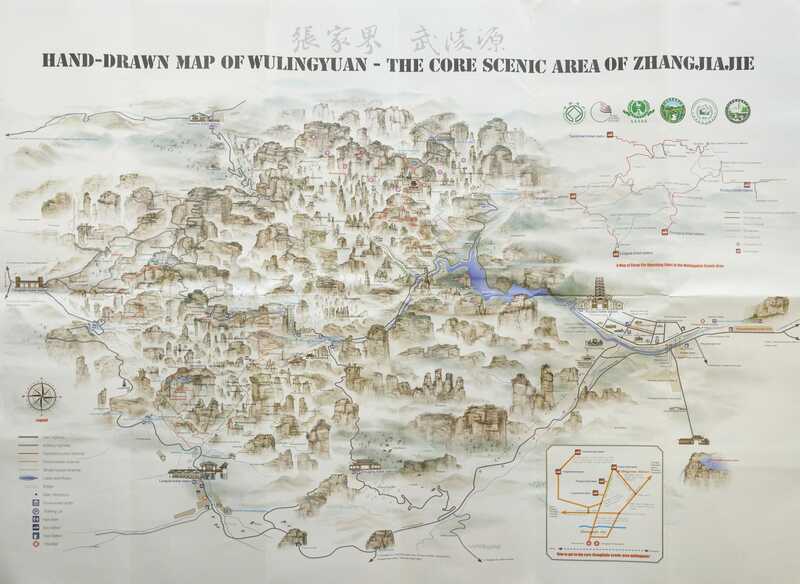 The Zhangjiajie National Forest Park (Chinese: 湖南张家界国家森林公园) is one of several national parks within the Wulingyuan Scenic Area. 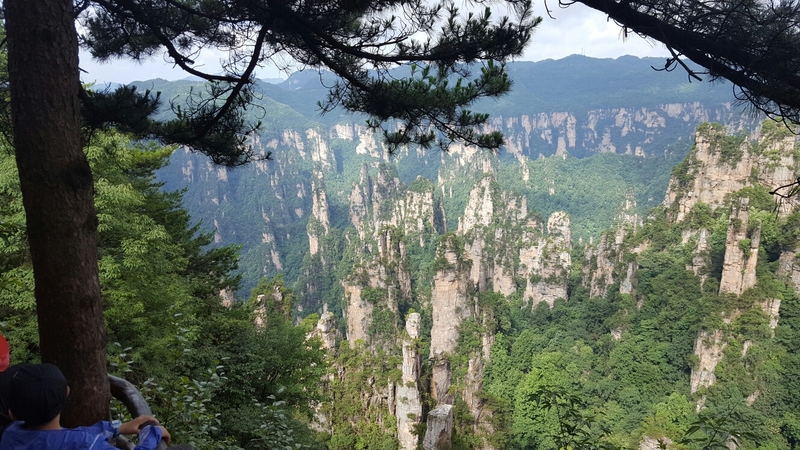 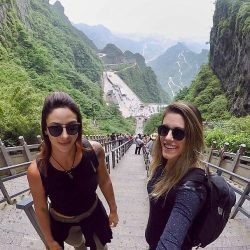 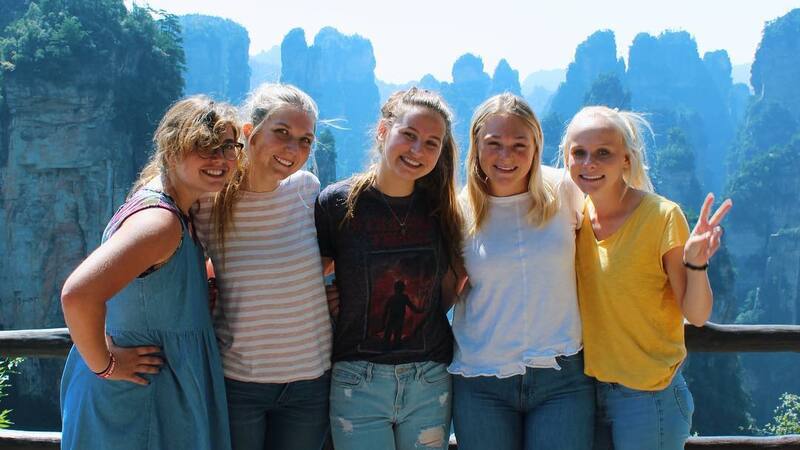 It’s 32 KM apart from ZhangJiaJie City. 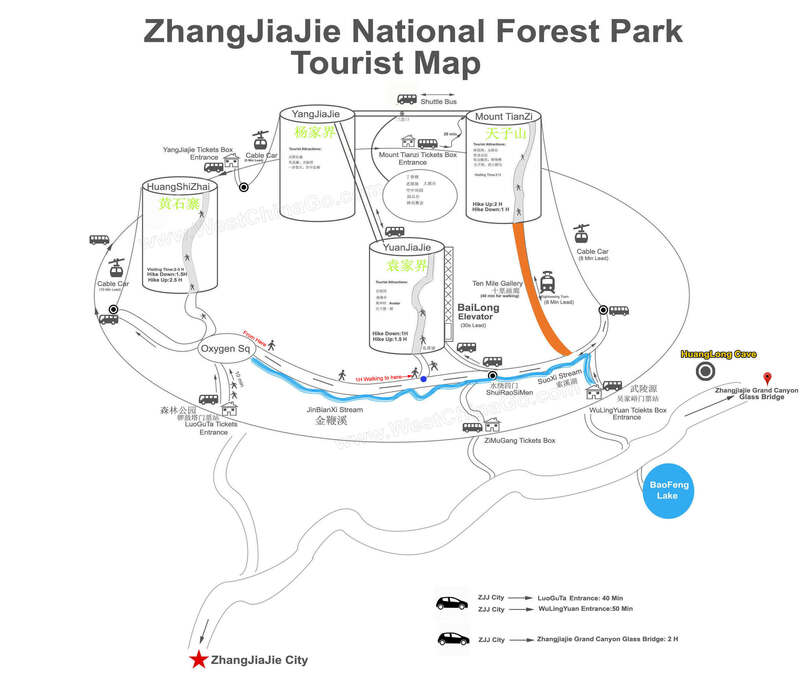 Gold whip stream and suxiyu and ten mile gallery are at the foot , the other tourist attractions site are at the top of mount. 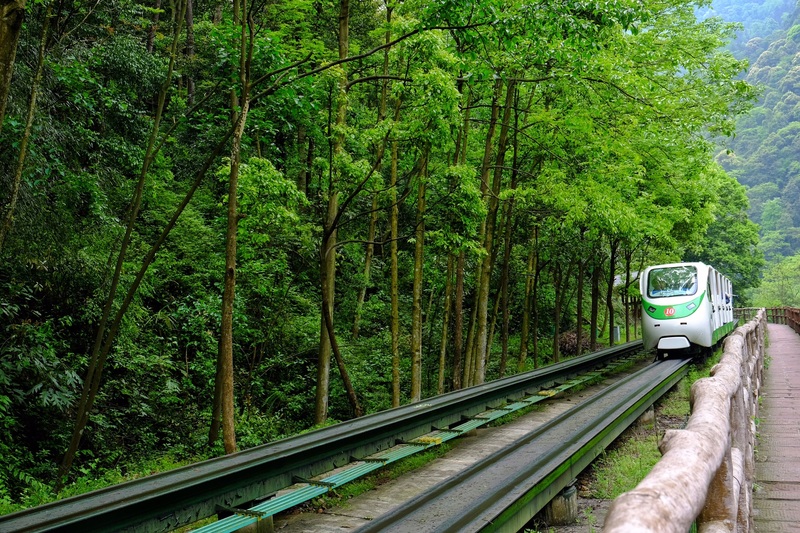 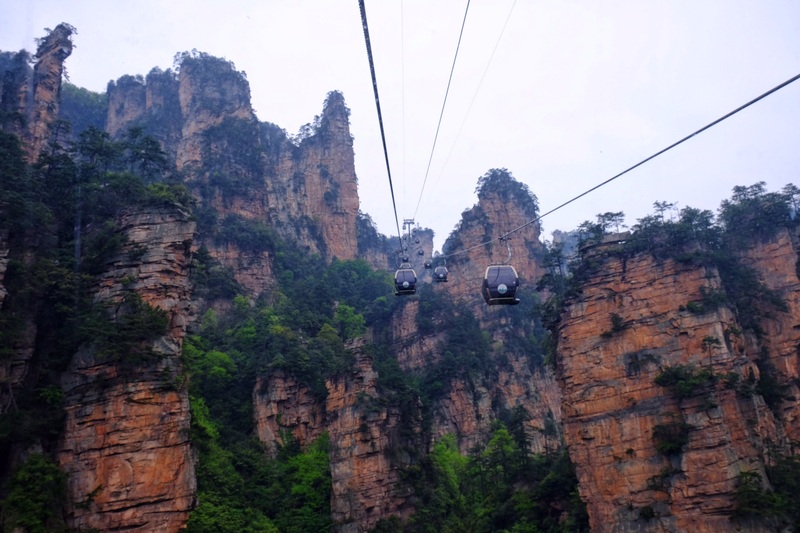 there are cable car or elevator or sightseeing bus to connect the foot and top. 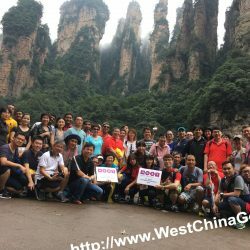 it’s big and complicated, WestChinaGo suggest that spend at least 2 days for visiting. 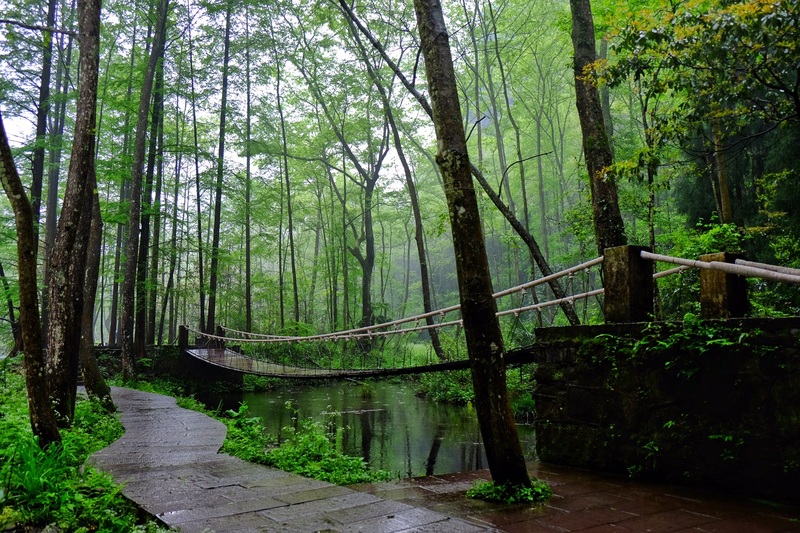 Time: The same scenery vary from time to time.Morning, Noon, Afternoon,dusk, rainy day,fog day…all different. 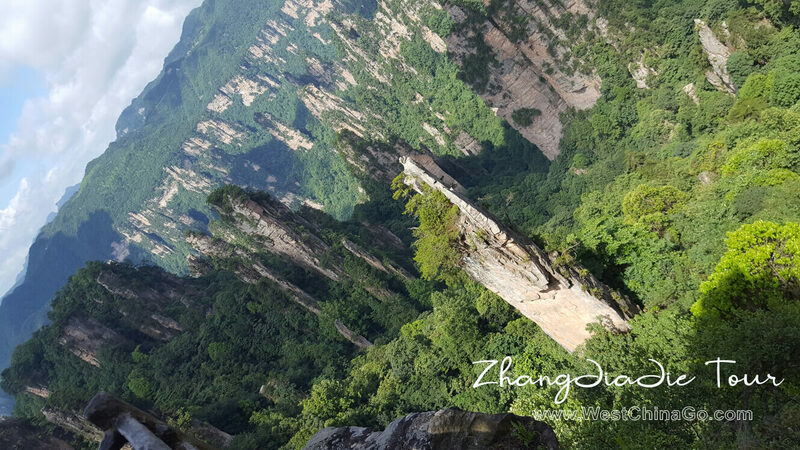 Angle: Even the same scenery vary from different angle of observation at same time,. 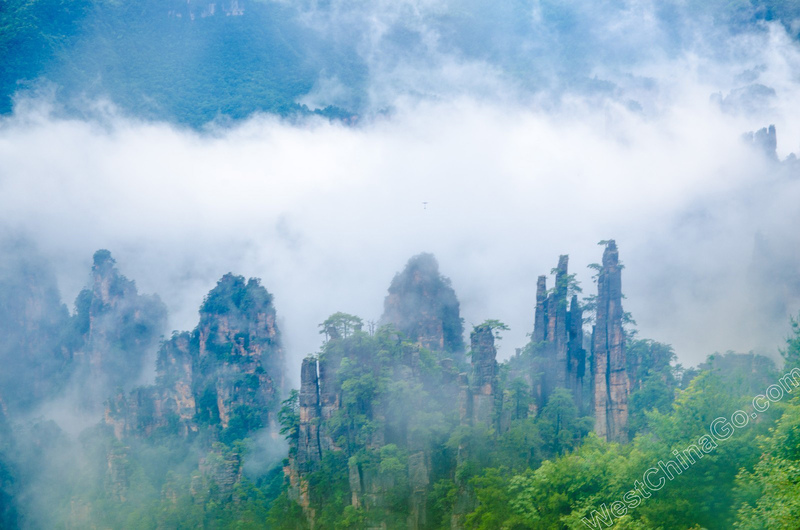 Luck: The sun-set sun-rise, cloud sea, fog sea…depends on the time and luck. 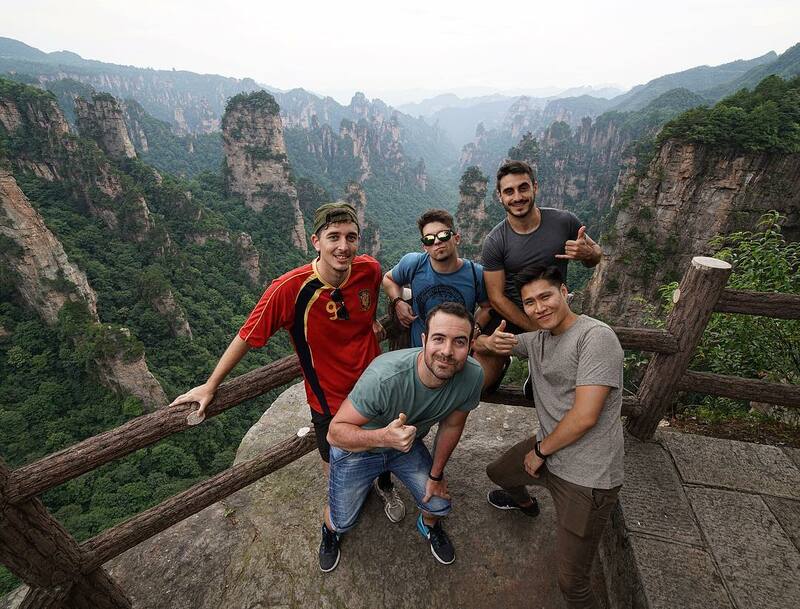 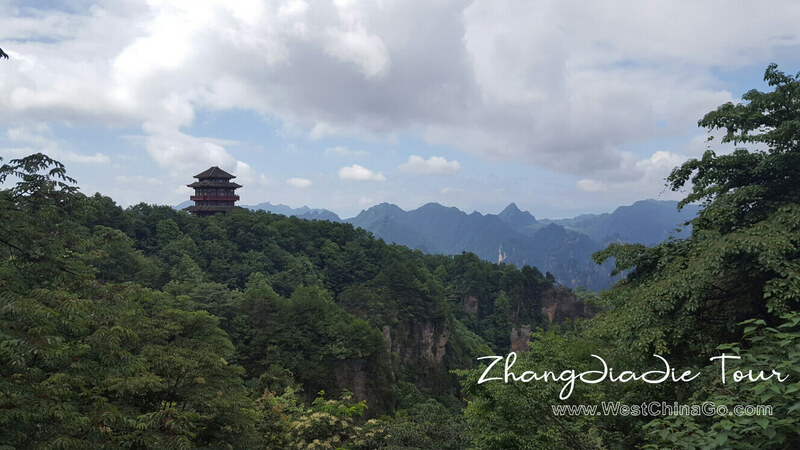 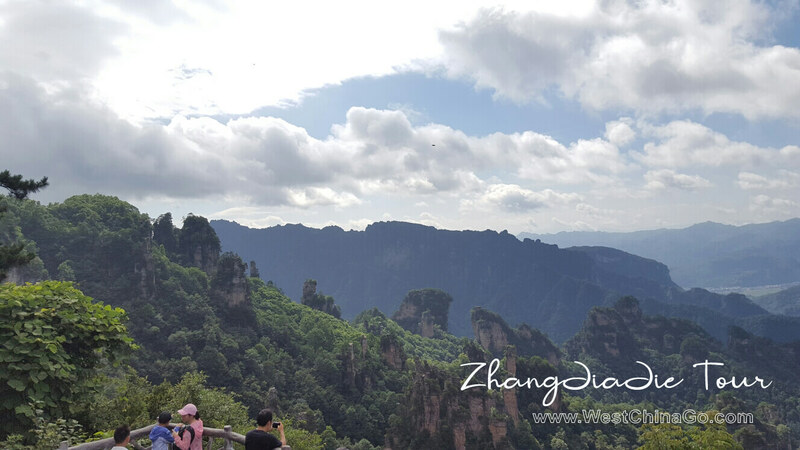 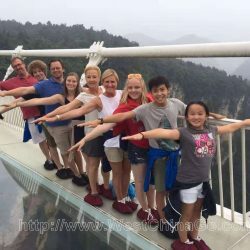 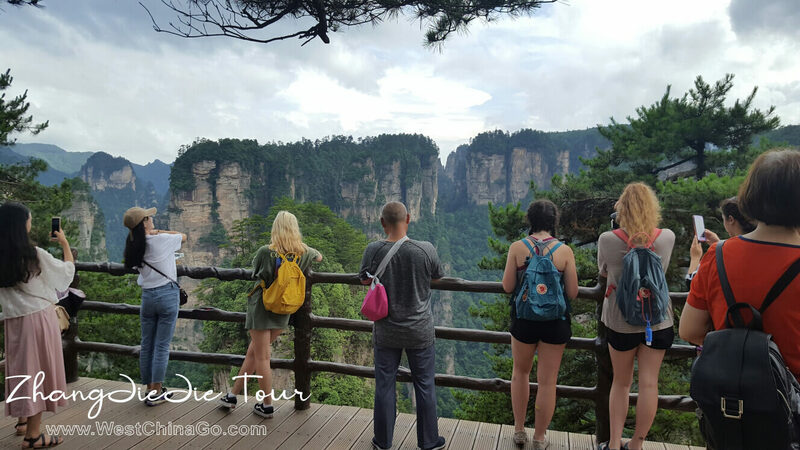 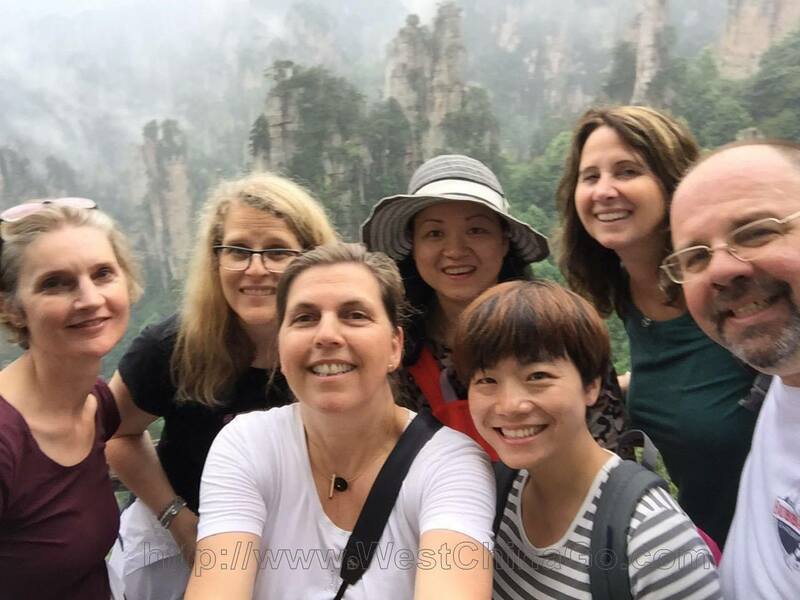 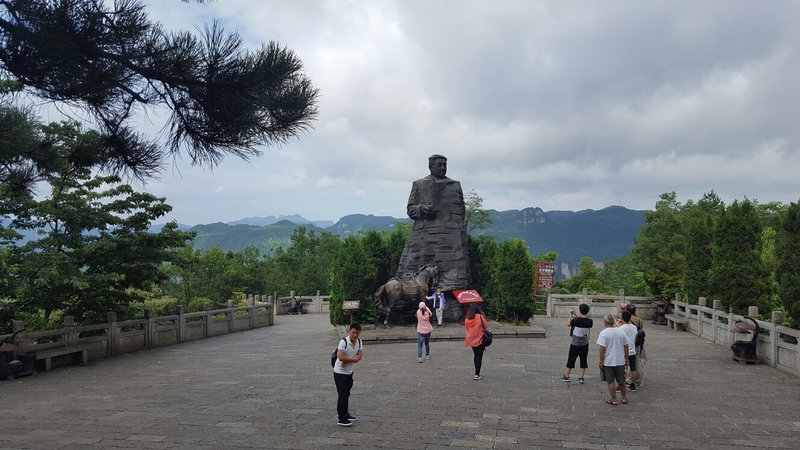 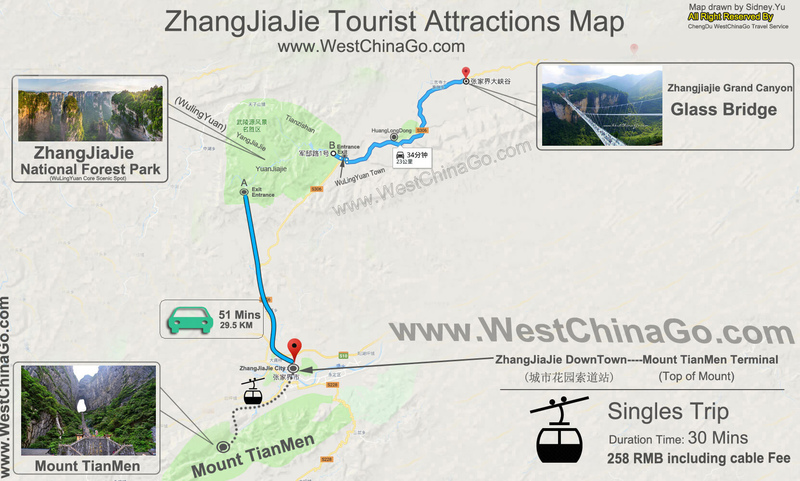 usually from zhangjiajie downtown to wulingyuan admission entrance, duration time is about 50 mins. 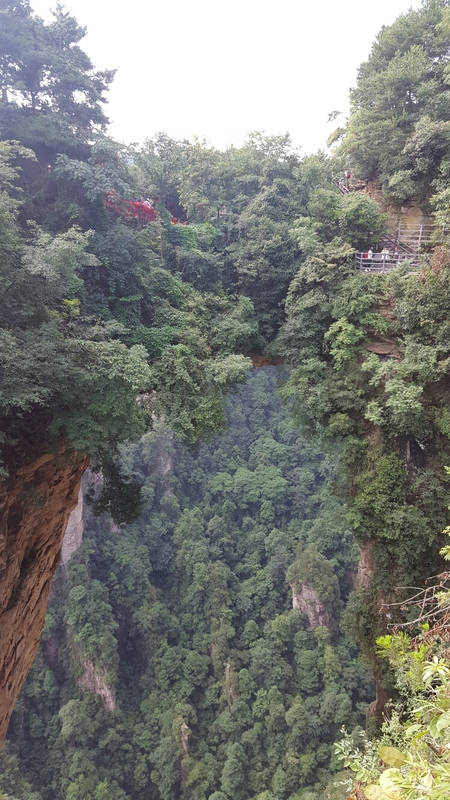 • From ZhangJiaJie Bus station:位于张家界市区、回龙路与人民路交叉口的汽车站，每天有不少班次直接发往国家森林公园。路程约32km，票价11元，10分钟一班，约40分钟可到达；最晚是7点的.